Photo Dynamic Therapy or PDT is a medical procedure used to treat solar keratoses or sunspots and general sun damage and involves the application of a special photosensitising medication to the skin which is left on to penetrate for several hours. This is then activated by an intense LED light source or IPL to selectively destroy the abnormal and damaged cells while sparring the healthy cells. PDT is very effective for solar keratoses and general sun damage and also results in a marked cosmetic improvement of the skin. PDT involves the application of a special lotion containing the photosensitising medication 5 Amino Levulanic Acid or ALA to the affected area. This medication is left on the area for between one and a half and three hours and then a light source in the form of either a high intensity LED panel or an IPL machine is used to activate the medication. This process results in the selective destruction of abnormal or pre-cancerous cells leaving the healthy tissue unaffected.The principles behind PDT have a long history in medicine with the name ” Photo Dynamic Therapy” being coined by a German doctor in 1904 but it wasn’t until the development of a safe and effective photosensitiser in the form of 5-ALA that PDT has become more widely used. PDT can be used to treat sun damaged skin on the face, scalp, hands, décolletage and legs. It treats the underlying damage in the skin that causes sunspots to occur and will reduce the number of solar keratoses needing removal with liquid nitrogen or other physical means. PDT also produces a good cosmetic rejuvenation of the skin with improvements in texture, tone, pigmentation and pore size. PDT is safe and relatively simple to perform. The treatment time is quick and the whole procedure is performed in the clinic with no need to remember to apply ongoing creams at home. A large area of skin or “field” such as the face can be treated in one session. Prior to the procedure a thorough skin check is performed to make sure there are no frank skin cancers or other lesions that need to be excised. At this time any thickened or overly scaly keratoses will be treated with liquid nitrogen cryotherapy or laser as these don’t respond well to PDT. At least 5 – 7 days off work are usually necessary and arrangements should be made to avoid having to go outside for 2 days. It is useful to have an ice pack in the freezer to apply on the first night. On the day of the procedure the skin should be clean and ideally free of any sunscreen or moisturiser, the patient should wear comfortable clothing and bring a hat and sunglasses. It’s also a good idea to bring a book or magazine to read while waiting for the medication to be absorbed. The treatment is performed at the clinic and involves 6 stages. The skin is cleaned with a gentle cleanser to remove any makeup or sunscreen and then an acetone scrub is performed to degrease the skin. A micro dermabrasion is then performed to remove as much dead scaly skin as possible to increase the penetration of the medication. The photosensitising lotion is then applied to the skin and the area is sometimes covered with a plastic film to further enhance the uptake of the lotion. The patient then waits for between one and a half and three hours while the medication is taken up by the abnormal, damaged and precancerous cells. Shorter medication incubation times are usually spent sitting in a room at the clinic while for longer incubation times the patient may go home and return to the clinic several hours later. The area being treated is then exposed to a very intense red light source which shines into the skin and activates the medication which is now at a much higher concentration in the abnormal cells than the normal cells. The light is on for about ten minutes and sets off a chemical reaction within the damaged cells which results in their selective destruction whilst sparing the good cells. A soothing post treatment cream is then applied to the area to help settle the inflammation and the patient is sent home with strict instructions to stay inside and completely out of the sun for two days. Immediately after the procedure the skin will be red and inflamed and a post treatment cream will be applied to keep the area moist and help settle the inflammation. Due to the residual photosensitising medication in the skin the treated area is extremely sensitive to the sun and the patient must stay out of the sun and preferably indoors for a minimum of two days. 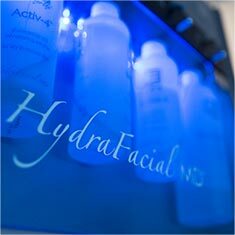 Gentle cleansing and a post treatment cream can be used during this time to help sooth the skin. If the face has been treated, sunscreen and a broad brimmed hat must be worn whenever outside for at least two weeks after the procedure. The skin will flake and peel for a few days and the redness will take about a week to settle. During the healing period the skin will look and feel as though it has been sunburnt. For at least two days after the procedure the patient must stay completely out of the sun and preferably inside. During this time there is marked redness of the skin and in some areas such as around the eyes there can be considerable swelling. Hats, scarves and sunglasses must be used if the patient has to go outside. The skin then starts to peel on about day three or four on the face and a few days later on other areas of the body and this continues for several days leaving healthy pink skin underneath. Makeup can start to be used at this time-after the skin has peeled. The residual pinkness in the skin then settles over the next few days with the whole process running its course over about seven days on the face and ten to fourteen days on other areas of the body. A treatment of an area such as the face, hands or the chest costs $800. Unfortunately Medicare doesn’t rebate the cost of the treatment but patients with private health insurance may get something back on the medication component of the treatment. There can be some pain or discomfort associated with PDT during the illumination process but this can usually be minimised in several ways. Firstly cool air is blown on the area while the light is on and a mist of cold water can be sprayed on the area if necessary. Secondly local anaesthetic cream can be applied to the skin or local anaesthetic nerve blocks can be used to numb the area and reduce any pain or discomfort while the light is on. Panadeine or Nurofen Plus can also be taken about an hour prior to the illumination to make the patient more comfortable. There is some residual discomfort for the rest of the first day but this is usually easily controlled with simple analgesics and cold packs. Over the following days the skin usually feels a little tight but any discomfort has usually settled. PDT is a very safe treatment with very few risks associated with it. Because it selectively targets damaged and precancerous cells sparing the normal unaffected cells the is very little risk of any permanent marking or scarring but care must be taken with the new fresh skin to look after it in the sun and prevent further damage. Infection with the Herpes Simplex virus is a rare complication of skin treatments of this type and if the patient has a history of recurrent cold sores they must take anti-viral medication prior to the procedure to reduce the risk of this. Milia and pimples can occasionally occur during the healing phase but these are usually easily managed with either topical or oral antibiotics after the procedure. Transient pigmentation disturbances can occasionally occur following PDT particularly in olive skinned patients. Hyperpigmentation can rarely occur but this usually settles easily with careful sun avoidance and conscientious use of zinc based sunscreen. Hypopigmentation or scarring have not been reported in patients treated with PDT for solar keratoses and sun damage.